It wasn’t long ago when folks were wondering whether the 2016 Chicago Cubs would become one of the greatest teams of all time. Would they set a wins record? Outscore opponents by 300 runs? Blow out the NL Central by the All-Star Break? After a 1-7 stretch that included three losses to last-place teams amidst a 5-13 funk, the answer was a resounding “no” on each count. In fact, this Cubs team is on pace to… end up as just another division winner. Hell, the North Siders may not even top the Cardinals’ 100 wins from 2015 if this slide continues. Judging by the palpable panic spreading among Cubs fans, you might say Chicago got a bit too high on the team’s early-season success. Alas, Dexter Fowler is not an MVP candidate (or even a .3oo hitter); neither John Lackey, Jason Hammel, nor Kyle Hendricks will win the Cy Young Award; and Pedro Strop is not Andrew Miller (or even Fernando Rodney, for that matter). So there are things this team has to fix in order to make a run in October. 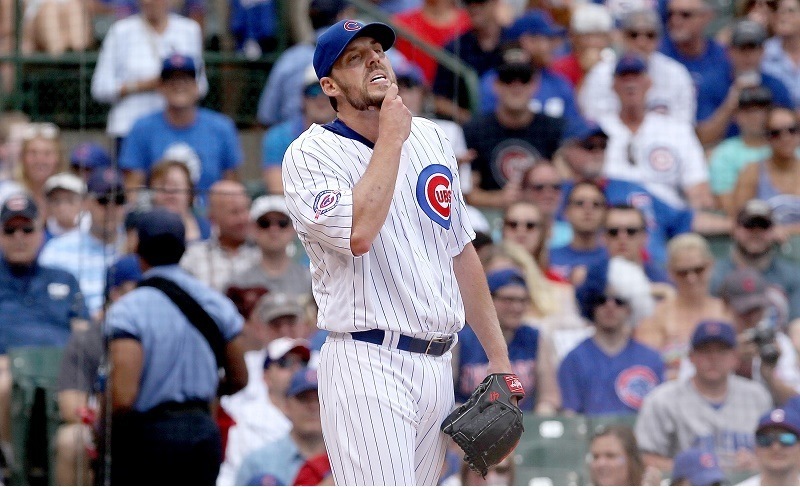 Here are the biggest reasons for the Cubs’ unspectacular crash back to earth. 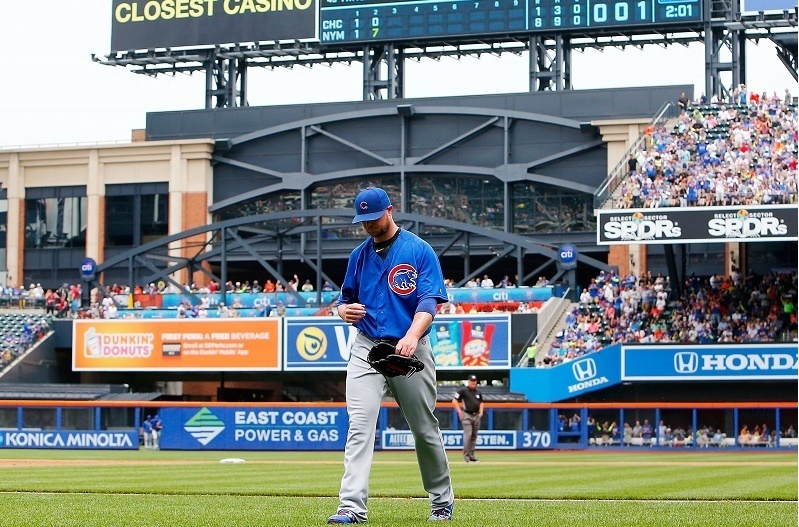 For a team stocked with young players, the Chicago Cubs get injured an awful lot. 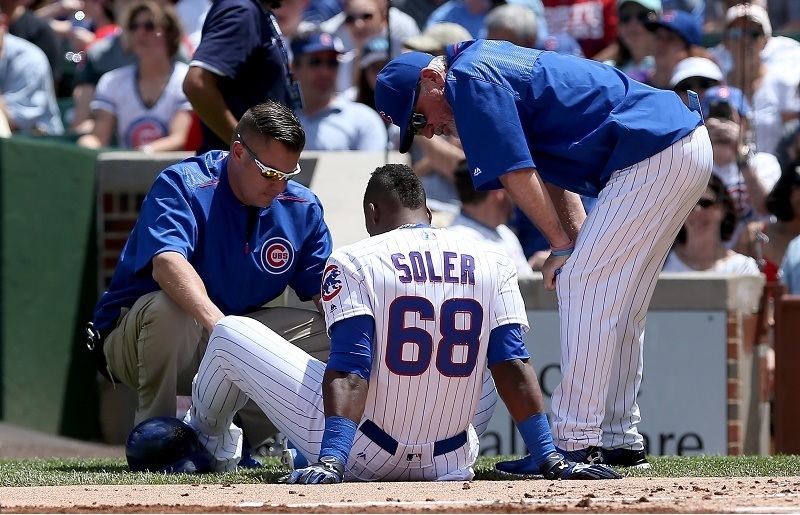 There was the freak accident that knocked Kyle Schwarber out for the season back in April, but hamstring injuries to Jorge Soler and Dexter Fowler in June have kept them out of the lineup for longer than a month. Then backup Chris Coghlan went on the shelf. Even with the Cubs players’ ability to rotate into different positions on defense, there have not been enough reinforcements to compensate for the losses. After such a dominant offensive showing early, Chicago did not rank in the top 10 in runs scored during the month leading up to the All-Star Break. At least some of that shift can be tied to injuries affecting run producers. Call it regression or a classic case of baseball humbling; the Cubs are just not as good as they were in the opening six weeks. 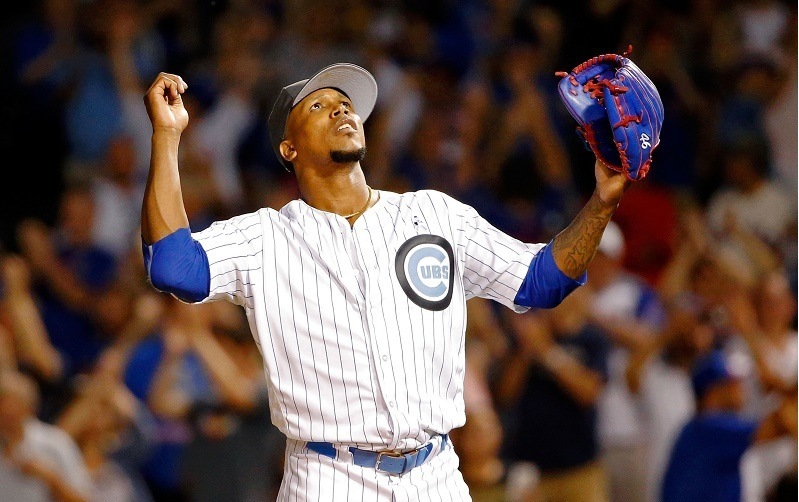 Before his injury, Fowler had a .605 OPS in June following his blistering opening months; Ben Zobrist hit .229 in June and .143 in six July games after his torrid May; and after 11 straight conversions, Hector Rondon blew four saves in the space of eight appearances beginning in mid-June. The starting rotation as a whole ranked 24th in the MLB between June 8 and July 7 with a 9-11 record and 4.17 ERA (4.95 FIP). Compared to the sterling work this group did in the first two months of the season, you had to expect a correction. Yet most fans (and members of the media) weren’t prepared for the corrections to happen all at once. Even Jake Arrieta found himself roughed up in back-to-back starts versus the Mets and Reds. In fact, the Cubs ace went three straight games without pitching more than 5.1 IP and collected two losses (against St. Louis and New York) along the way. When Chicago needed its top pitcher to stop the bleeding, Arrieta was unable to deliver. Critics of the 2016 Cubs roster wondered whether or not the bullpen would hold up, and we have our answer. Between the second week of June and the first week of July, Cubs relievers posted six blown saves and five losses to a 4.40 ERA. As a group, the bullpen ranks 23rd in baseball in WAR with a 4.13 FIP. Aside from the early success of Rondon and Strop, there have been no standouts in this group. Since the Cubs expect Fowler and Soler to return this season, the ‘pen would be the obvious place for the front office to start when looking to make upgrades before the trade deadline, and the club has several options available. We’ll see what happens, but the relief corps is not ready for October by any stretch of the imagination. Other reasons the Cubs came crashing back to earth include better play from opponents (especially the tanking Braves and Reds) and the still-high strikeout rate you see from the lineup. Even with the purchase of free agents Zobrist and Heyward, Chicago ranks sixth in MLB in strikeouts (11th in K percentage). The sky has not fallen; that’s simply the Cubs showing the ugly, mortal side that lurked there all along. We’ll see what happens in the second half.